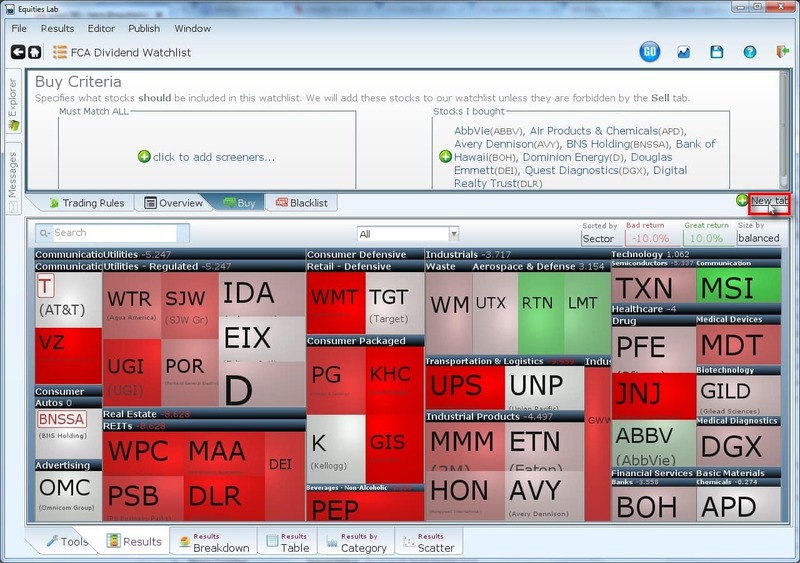 Equities Lab can tell you when to buy and sell the stocks in your screener. You can see at a glance how each of your stocks is doing. If one of your stocks no longer meets the underlying Screener’s approval, the Heat Map will recommend “Sell” and offer another choice. There is no requirement for you to take action—you may prefer to rebalance quarterly, Equities Lab will keep updating your watchlist for you on a daily basic. You can even configure it to send you email updates. If you want more details about a particular stock, all you need to do is click on it. Equities Lab will give you several paths to follow. Use the collection of Tear Sheets to find detail financial information, ratios and scoring results. View a graph comparing that stock to the SPY over time. Click tabs along the bottom to view the stock’s daily gain/loss table, monthly bar charts, candlestick charts and extensive monthly and annual rankings that include standard deviation, Beta, Sharpe Ratio and drawdown, to name a few. If that doesn’t answer your questions, you are one click away from viewing your stock in Google Finance, Motley Fool, Seeking Alpha, Yahoo Finance, SEC or Stockcharts.com. 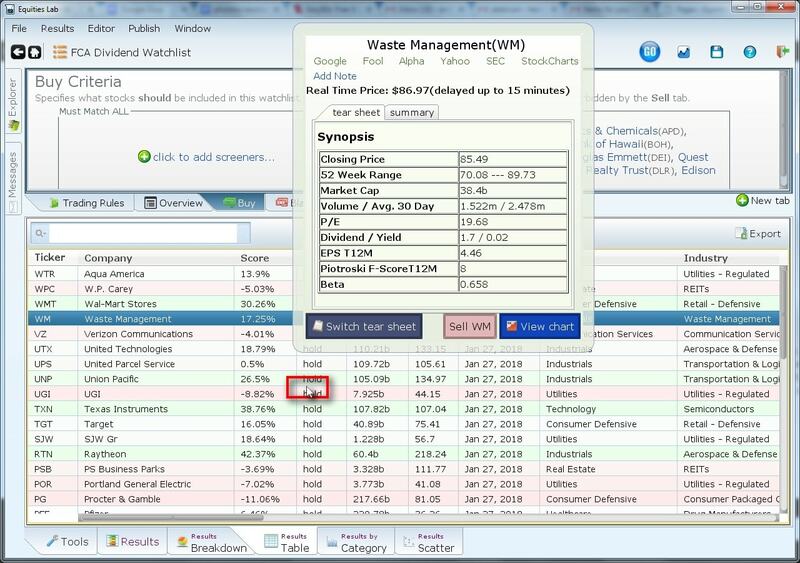 You can also log notes of your findings and ideas right in your stock’s record on the Watchlist.